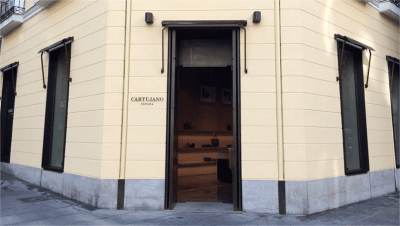 At the Spanishoegallery Blog we have long been planning to offer our readers shoe shopping itineraries for the major and not so major cities of Spain. Finally this moment has arrived, thanks to a girl called Callie Wallace, who sent me a lovely message saying that she enjoyed browsing our website and now wants to know where some of the stuff we feature can be got in Madrid. 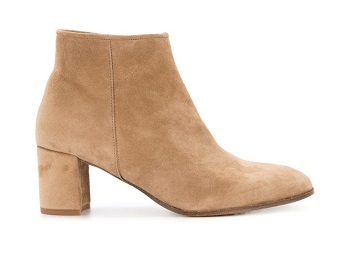 Thank you, Callie, for giving us the push to finally launch our “Shoe Shopping Itineraries” series! So, from the virtual and online shopping, on to the brick and mortar stores! As requested by Callie, our first stop is Madrid, Spain’s capital and largest city. Madrid‘s most famous shopping district (barrio) is Salamanca. The wealthiest residential area of Madrid and the location of many foreign embassies, Salamanca is authentic, safe, full of great shops, cultural establishments, restaurants and bars. It occupies the area east of the Paseo de la Castellana and Paseo de los Recoletos, south of María de Molino and the Avenida de la América (or A-2), north of O’Donell and Alcalá, and west of the Avenida de la Paz (or M-30). Salamanca (in red) on the map of Madrid. The subway stops that take you directly into Salamanca are the Serrano, Velázquez (Line 4), and Núñez de Balboa (Line 5,9). Salamanca is also home to a great number of shoe stores. 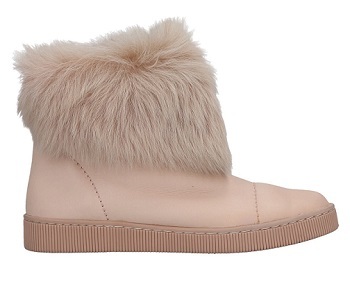 Not all of them are prohibitively expensive. Posh international boutiques exist alongside small family stores, which contain many hidden treasures for a determined and deal-savvy shoe shopper. 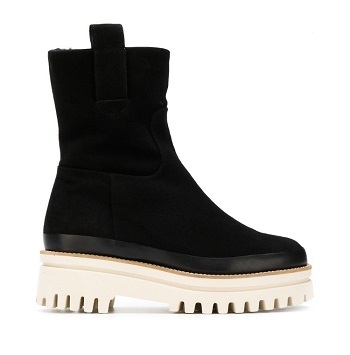 If you are looking for Made in Spain footwear, as we are in this blog, the most interesting streets in Salamanca are the Claudio Coello, which runs to the east of the posh Serrano street, as well as the Ayala, the Hermosilla, the Nuñez de Balboa, Goya and Jorge Juan streets. Since there is a great number of different stores, this post will focus on one street: the Claudio Coello, named after the 17th century Spanish baroque painter. The closest subway stop to Claudio Coello is the Serrano station. 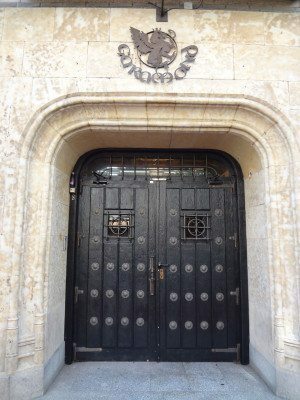 This antique door is the entrance to the Garamond restaurant in Claudio Coello 10, Salamanca, Madrid. Photo: David Adam Kess. Rimini 1928, Claudio Coello 3 (also Lagasca 67) – a chain of upscale stores that offer a complete range of fashion clothes and accessories. Flavio Menorca, Claudio Coello 6 – a family firm from Menorca. Stands for high quality, tradition, and elegance, Menorca-style. 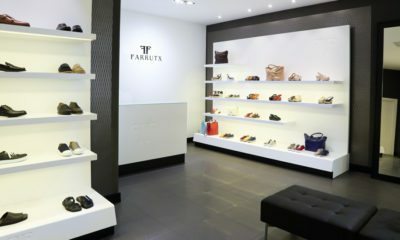 Farrutx, Claudio Coello 22 & 51 – opened in 2014 and 2015 following the re-launch of the label, these two shoes and accessories boutiques showcase excellence in quality and design with an unmistakable Mediterranean island flair. 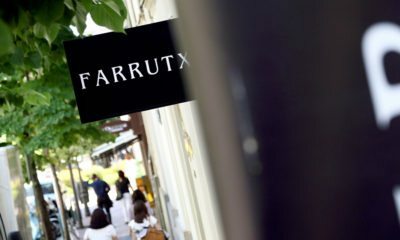 Farrutx was founded in Mallorca. Cartujano, Claudio Coello 28 – a brand founded by the influential Fluxà family of Mallorca (the family also owns the brands Lottusse and Camper). 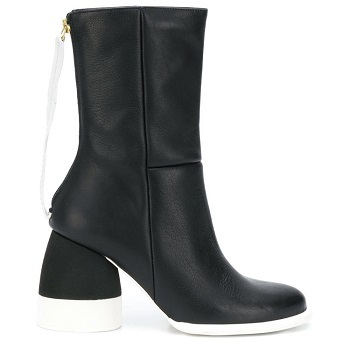 Dormant in the 2000s, the brand was recently revived as a luxury label in the best Spanish leather working tradition, with a preppy/equestrian appeal. Seraphita, Claudio Coello 38 – a shoe and accessories boutique for the whole family, Seraphita sells a lot of Made in Spain brands in the latest styles. The prices range from moderate to moderately high. 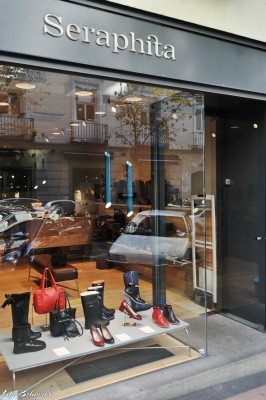 Tascón, Claudio Coello 38 – a veteran shoe store chain with roots in Barcelona. Carries several Made in Spain brands alongside some international ones, mostly of the comfort type, at reasonable prices. 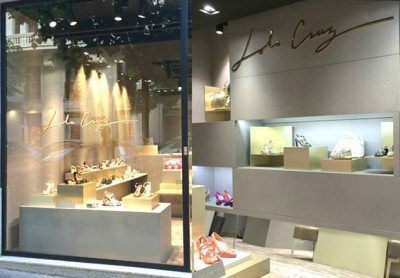 Lola Cruz, Claudio Coello 46 (also Goya 5) – a self-proclaimed “jewel” shoe company, Lola Cruz specializes in embellished shoes and accessories made of quality leather. 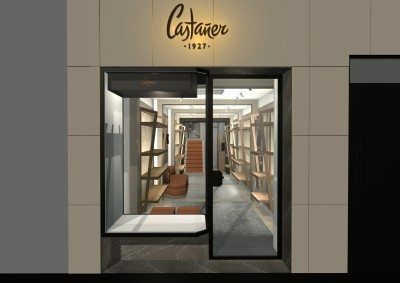 Castañer, Claudio Coello 51 – one of the my all time favorite Made in Spain brands, this Catalonia-based manufacturer is famous for its iconic high wedge espadrille, as well as other types of shoes. This blog is chock-a-block full of Castañer (some of it you can see here, here, here, here, and here). Castañer is my weakness. I could never have enough of their shoes or bags. 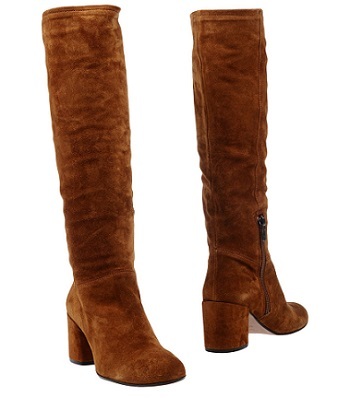 Uterqüe, Claudio Coello 54 – a fashion accessories firm owned by the same group that owns ZARA. A global company, which means that the manufacturing probably takes place outside Spain. Still worth a look. Úrsula Mascaró, Claudio Coello 61 – Úrsula Mascaró is the current head of design at Mascaró, a family-run high-end shoe company from Menorca, which also owns the Pretty Ballerinas label. Ursula took the reins from her father, Jaime Mascaró, who passed away late last year. 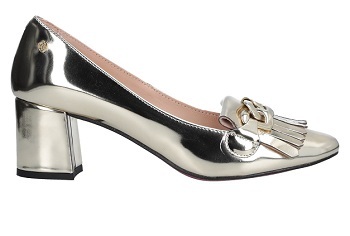 This store represents her own contemporary glamour shoe line, which she had started during her father’s life time. 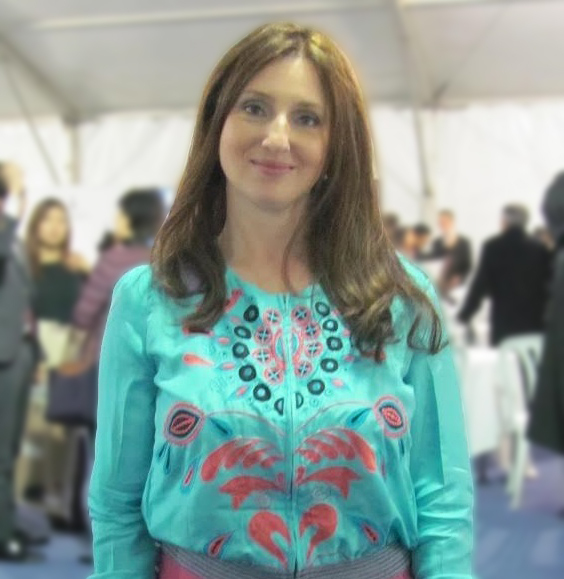 She often collaborates with Spain’s leading fashion designers. 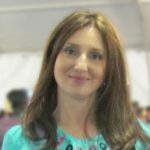 See some of her work here. The founding label’s store, Mascaró, is located in close vicinity, at 22 Hermosilla Street. 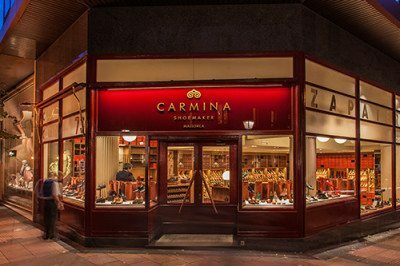 Carmina Shoemaker Mallorca, Claudio Coello 73 – a long-established firm from Mallorca, well-known for its luxury cordovan leather shoes and accessories. Barrats 1890, Claudio Coello 75 – a venerable Mallorcan company with a long pedigree and a guarantee of class and quality. Supplier of the Spanish royal house. I featured it here. 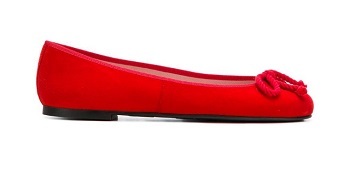 Pretty Ballerinas, Claudio Coello 83 (also Lagasca 30 and Goya 17) – a globally known, but 100% Made in Spain manufacturer of fashion ballet flats, featured many times on this blog. 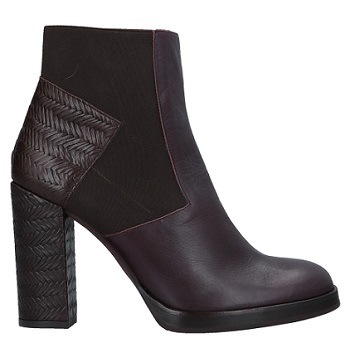 Acosta, Claudio Coello 95 – a manufacturer of luxury leather clothing, shoes, and accessories. 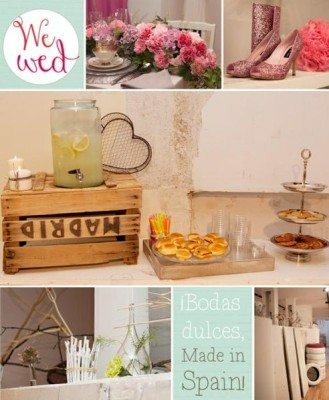 WE WED, Claudio Coello 109 – a charming wedding and related event accessories boutique. 100% Made in Spain. Next post will be on the Ayala and Hermosilla streets, plus some other important shoe shopping destinations outside of the area. 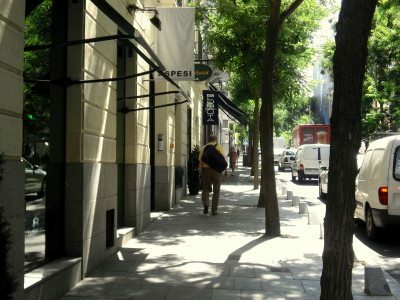 I hope that Callie and anyone else who is itching to go shopping in Madrid will enjoy our new Shoe Shopping Itineraries series. We are also working on creating a map to make the wandering easier and more fun. Of course, this is only a guide. You will surely discover some great places on your own. Happy hunting! Lastly, for a lot of this information this blog is indebted to Bárbara de Cárdenas of the Los Zapatos de Bárbara blog – a Madrileña, a shoe expert, and a friend of the Spanishoegallery Blog who has personally visited and shopped at each and every store on the list. Thank you, Bárbara!